Can Duke’s greatest recruiting class ever, or another year of John Calipari excitement at Kentucky, stop the growing empire of Jay Wright’s Villanova? 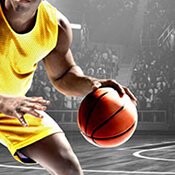 Get all the expert analysis and latest info with BetStars' college basketball coverage. We’ll have odds throughout the season to make your journey to the Big Dance an even better, more exciting experience. Texas Tech and Virginia both seek their first national championship as March Madness reaches the climax. Tennessee vs Kentucky: Will Coach Cal's Cats bounce back to beat No.1 Vols in SEC showdown? Duke vs Virginia: Will Zion, Coach K make it a regular season sweep of the Cavaliers?